Whilst summer may feel like a million light years away, especially with the recent cold weather and snowfall that we’ve seen across the UK, the spring season is less than a month away! It’s almost the perfect time to begin preparing our gardens for the much-anticipated sunny weather. If you have a summer house or are planning to add a summer house to your garden, here are 5 decorative tips to consider. Creating your own little safe haven at the bottom of your garden would be incomplete without an outdoor seating area to accompany it. A couple of deck chairs and a small table can completely transform the exterior of your summer house. The addition of a small outdoor dining area is the perfect choice for those summertime barbecues! As the majority of us will be using our summer house as an outdoor retreat, you’ll want to choose colours that stand out. 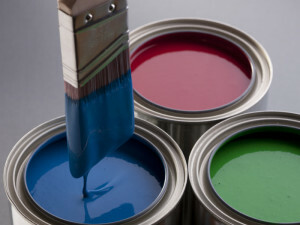 Adding to the overall aesthetic of your summer house, blues, greens and yellows are popular choices. Blue is renowned for being a calming colour, helping to ease your mind and to keep your blood pressure low. Yellows have been proven to make us feel more cheery and to uplift our moods, whilst green is ideal for its ability to reduce anxiety and to encourage composure. Making your summer house as welcoming as possible is essential and the furniture that you choose can play a huge part in this. Quirky, colourful and unique furniture can complement the layout of your summer house much more than you actually realise. Even if it’s just a comfortable sofa and a few individual chairs, this can be all you really need, ideally a colourful selection though. Following on from our previous point, green is a soothing colour that we all associate with nature, the outdoors and tranquillity. Indoor plants not only make the summer house more visually appealing but they also clean the air, reducing the carbon dioxide levels and keep temperatures low. Interior plants can actually reduce noise levels too, ideal for those who have a garden that’s near a noisy road or if you have loud neighbours. There is nothing worse than trying to get to sleep when it’s ridiculously warm indoors, especially if your bedroom is upstairs or a loft conversion. Thankfully, due to the numerous windows and ventilation options, summer houses stay relatively cool, making them the perfect solution for a spare bedroom. 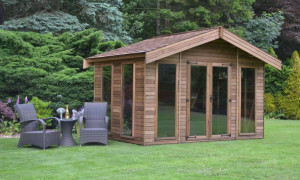 If you are seeking further advice about summer houses or are potentially interested in having a summer house constructed for your garden, contact Norton Leisure Buildings today. You can call our friendly team on 01608 643784. We'd love to help with any questions or queries, give us a call or visit our contact page.